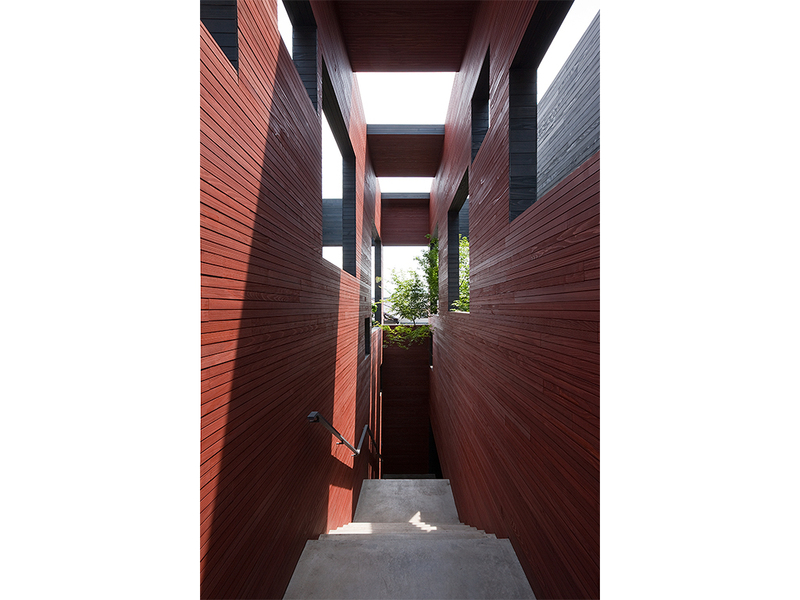 The building for three tenants was built in a residential area, one kilometer north of Fukuyama Station. 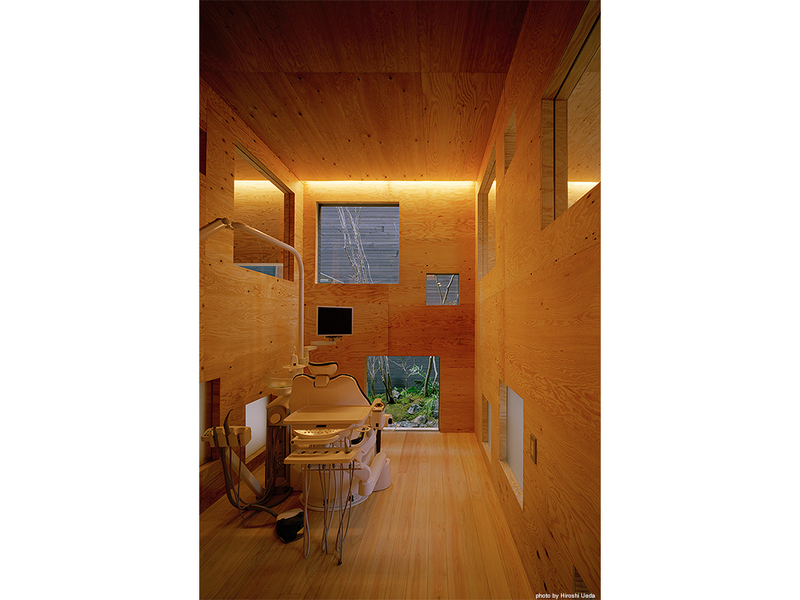 It contains a dental clinic on the ground floor and an esthetic salon and architect’s office on the first floor. The brief required that the building should have a garden and parking for 10 cars on a footprint of 10m wide x 50m deep. 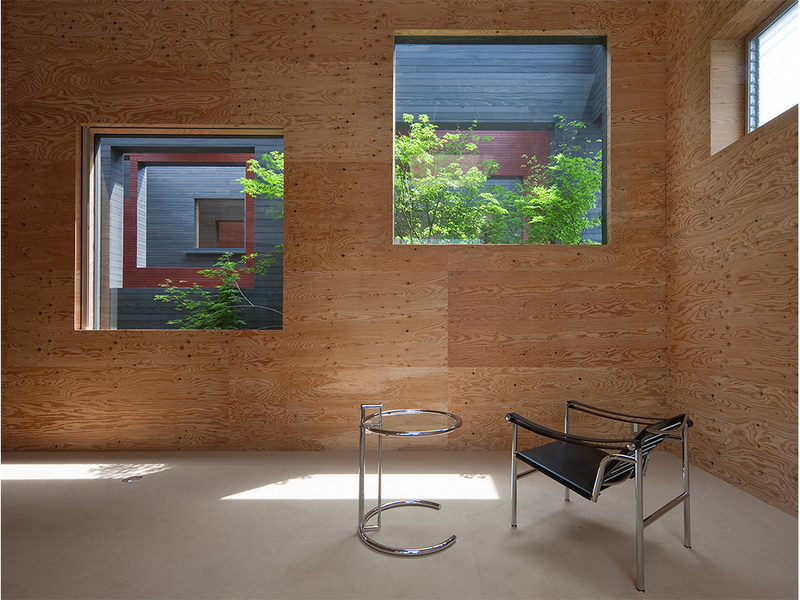 When asked for their views on the proposed design, the tenants expressed a strong desire to “work in the forest”. 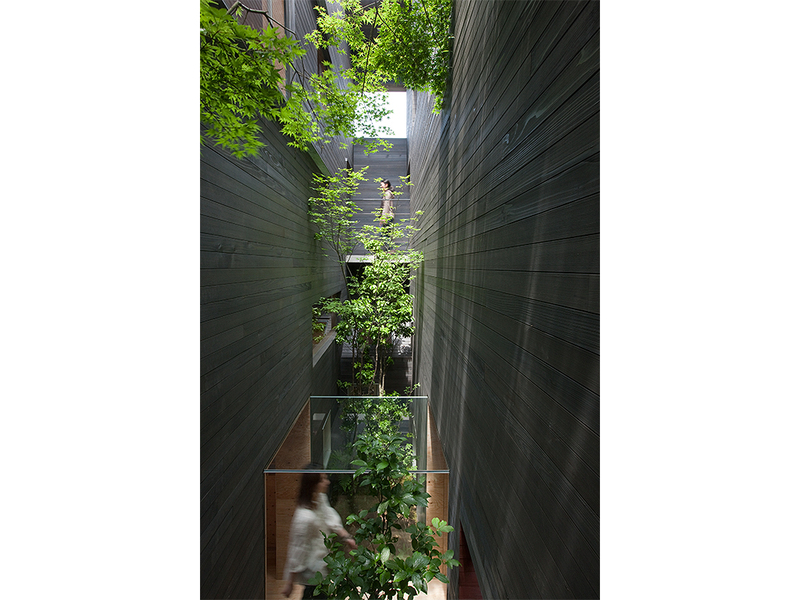 Therefore, it was decided to create a deep green space within the building, in which a mori or “forest” was inserted into the architectural hako or “box”. 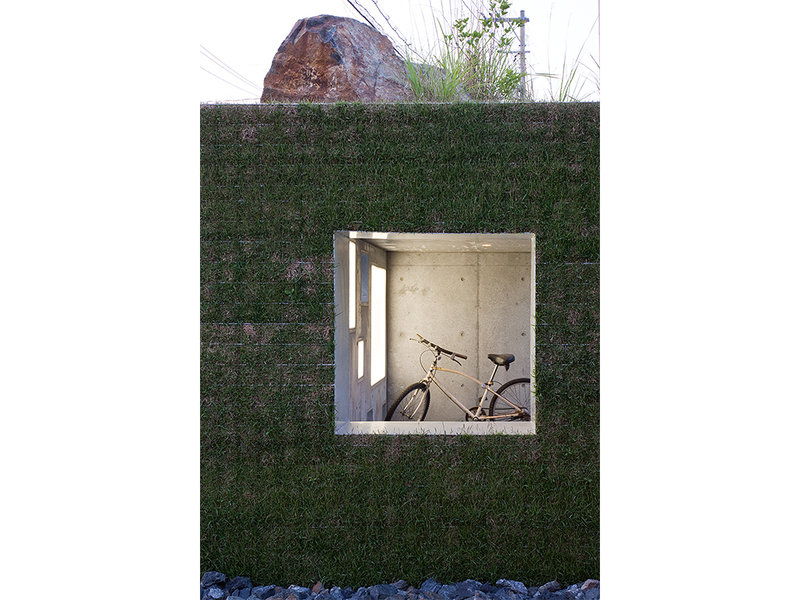 The garden acts as both a divider of space and a connection device, in which openings are controlled to hide or reveal the planting as it weaves through each space. 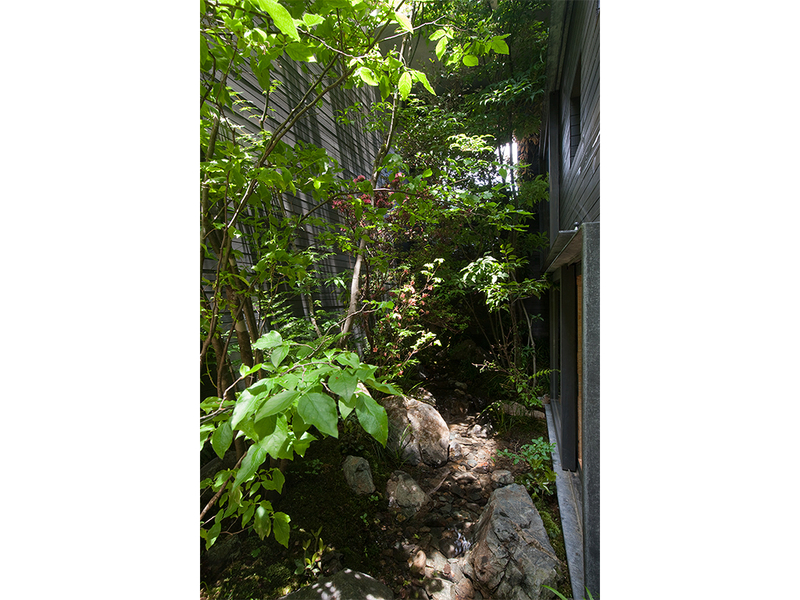 A meandering brook was designed to flow from the back of the garden and finally connects to the pond in the entrance. This represents the water circulation system in the mori. 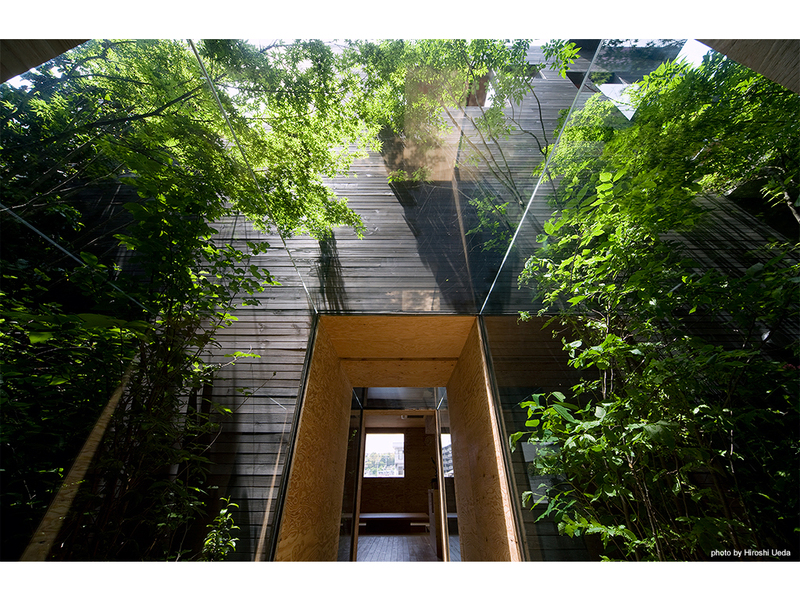 In one part of the garden, a glass wall and glass ceiling form a corridor. By slipping through this glass tunnel one gets the feeling of walking in a mori, not only from the sight but also from the sound of water. However, it was considered a disadvantage that the garden could not be appreciated from outside. 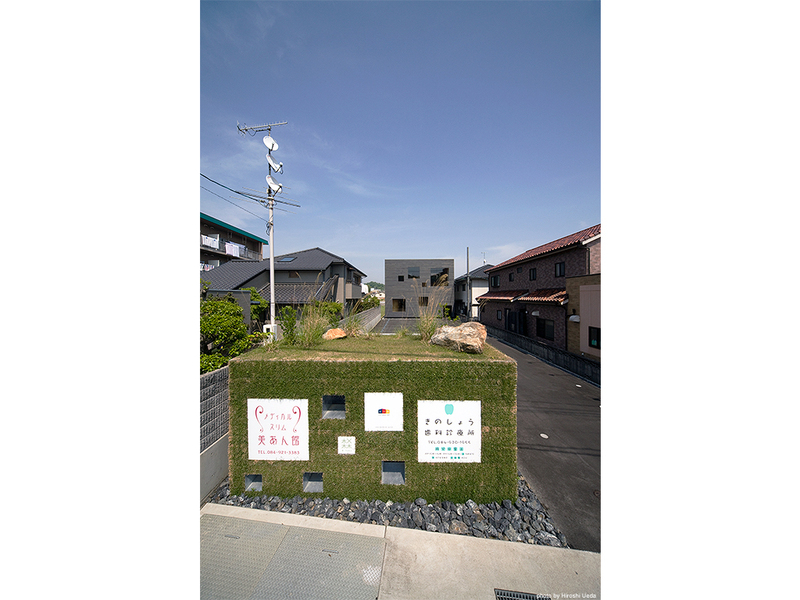 In order to resolve this issue, another type of hako or “box” made from lawn was created at the site entrance to form a parking area for bicycles. An illuminated signboard was installed here, displaying images of satoyama: the wild, grassy landscape at the foothills of the mountain where the mori begins. 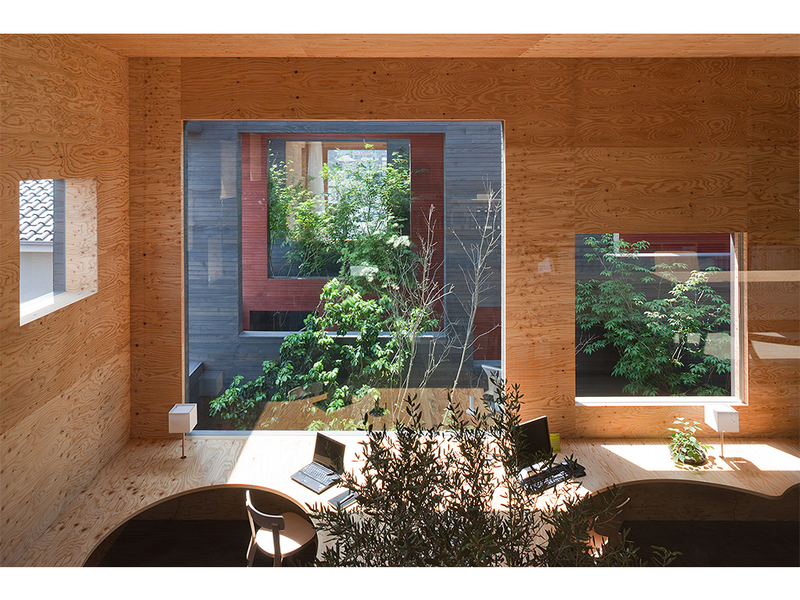 This gives the tenants the feeling of arriving at nature, away from the hard urban landscape outside. The placing of this hako at the entrance also alludes to the traditional Japanese concept of “origin regression”, whereby one returns to the space where the human race was originally born. 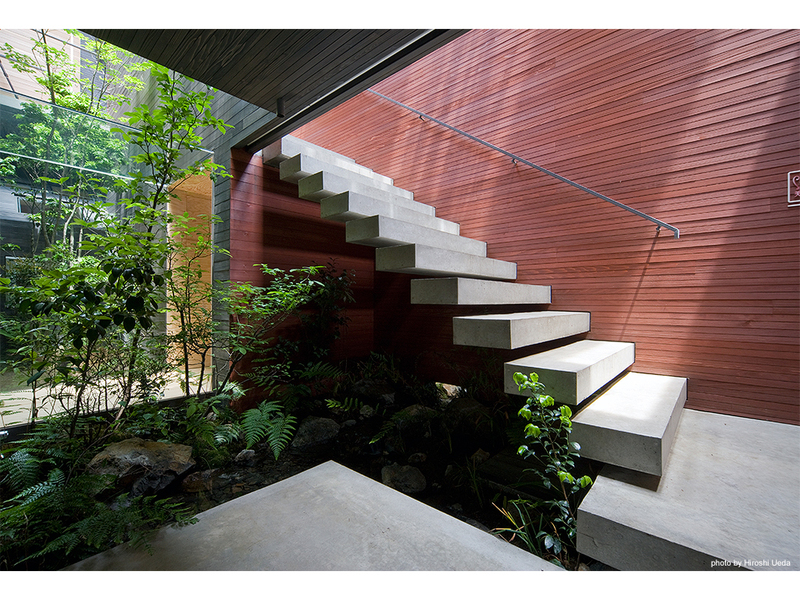 Thus, through the layering of space (from satoyama, to hako, to mori) and the careful control of views, individual privacy is protected and a space is created in which the tenants feel a familiarity and closeness to nature.